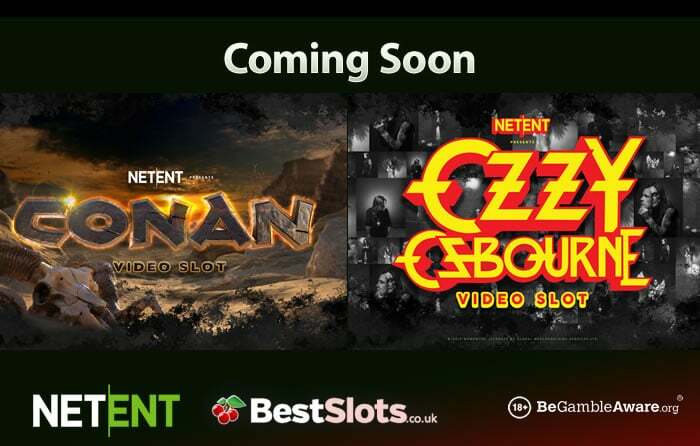 Developer Net Entertainment is set to add even more branded content to its catalogue after announcing deals to create new slot games based on rock star Ozzy Osbourne and the sword and sorcery character Conan (The Barbarian). With Guns ‘N’ Roses, Motorhead and Jimi Hendrix all in the Net Entertainment portfolio, The Prince of Darkness seems to be an ideal fit for Net Entertainment, which announced the new collaboration at this week’s International Casino Expo in London. “Rock stars don’t come much bigger, better known, or charismatic than Ozzy Osbourne,” said Bryan Upton, NetEnt Director of Game Products. Osbourne first found fame as the front man of Brummie rock legends Black Sabbath before becoming an unlikely reality TV star. “NetEnt are the market leaders in their field and we’re incredibly excited to add another of our artists to the exciting NetEnt Rocks family of games,” added Barry Drinkwater, Chairman of Global Merchandising Services, Osbourne’s brand management partner. The sword and sorcery character Conan The Barbarian first saw life in a 1930s comic book and has also appeared in books, board games and cartoons. He’s probably best known from the 1982 movie starring Arnold Schwarzenegger. This new collaboration will see Net Entertainment create their own version of the sword-wielding hero. “Conan is a character and a brand with a fantastic history and legions of fans all over the world. We are honoured to be creating our own adaptation of Conan and can’t wait to give him the hallmark NetEnt treatment,” said Bryan Upton, Director of Games at NetEnt. No firm dates have been given about when we can expect to see the new arrivals. In the meantime, there are plenty of branded slot games you can play such as Vikings and Planet of the Apes (from Net Entertainment). You also have Terminator Genisys, The Mask of Zorro, Grease, Suicide Squad, The Dark Knight, Batman v Superman: Dawn of Justice and The X-Files from Playtech. You can play all the slot games mentioned at bgo Casino – sign up to get 10 no deposit free spins and a 100% match bonus up to £200.